Get Your FREE eGuide NOW! 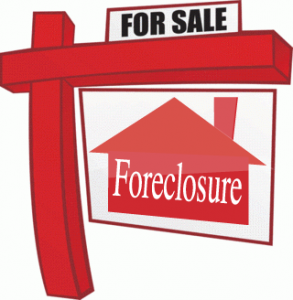 Do I have alternatives to foreclosure? As a Seller in this complex market, hiring the right listing broker is probably the single most important step you can take in order to get your home sold. Sellers email metoday! As a Buyer, it usually costs nothing to hire a real estate professional to help you find and purchase a home. The value thatThe K Company Realty brings buyers emails is second to none. Buyers email me today! A: Foreclosure is the legal means that your lender can use to repossess (take over) your home. When this happens, you must move out of your house. If your property is worth less than the total amount you owe on your mortgage loan, a deficiency judgment could be pursued. If that happens, you not only lose your home, you also would owe your lender an additional amount. Both foreclosures and deficiency judgments could seriously affect your ability to qualify for credit in the future. So you should avoid foreclosure if possible. Q: I am receiving letters from my lender regarding missed mortgage payments. What should I do? A: DO NOT IGNORE THE LETTERS FROM YOUR LENDER. If you are having problems making your payments, call or write to your lender’s loss mitigation department as soon as possible and explain your situation. Be prepared to provide them with financial information, such as your monthly income and expenses. Without this information, they may not be able to help. Q: Are there any free housing counseling services available to homeowners who are struggling to stay in their homes? A: Yes. The U.S. Department of Housing and Urban Development (HUD) web site provides a directory of HUD-approved housing counseling agencies. You can also call (800) 569-4287 or TDD (800) 877-8339 for the housing counseling agency nearest you, providing information on services and programs offered by government agencies, as well as private and community organizations that could help you. The housing counseling agency may also offer credit counseling. These services are usually free of charge. Q: Are there any alternatives to foreclosure? A: Yes. You may qualify for a number of alternatives to the foreclosure process, including special forbearance, in which your lender may be able to arrange a repayment plan based on your financial situation, and may even provide for a temporary reduction or suspension of your payments. Other foreclosure alternatives include mortgage modification and a “deed-in-lieu” of foreclosure. Learn more about Alternatives to Foreclosure. Q: Is there anything else I should watch out for? A: Yes. Beware of scams! Solutions that sound too simple or too good to be true usually are. If you’re selling your home without professional guidance, beware of buyers who try to rush you through the process. Unfortunately, there are people who may try to take advantage of your financial difficulty. Learn more about Foreclosure Scams. I always recommend that my sellers consult with a CPA or a Tax Attorney to examine their particular situation. The K Company Realty: Strong Families Equal Strong Communities! Contact Sabatino Campilii Associate, For All Your South Florida Real Estate Needs! * Sabatino Campilii, The K Company Realty and its affiliates do not provide tax, legal or accounting advice. This material has been prepared for informational purposes only, and is not intended to provide, and should not be relied on for, tax, legal or accounting advice. You should consult your own tax, legal and accounting advisors before engaging in any transaction. Home For Sale In Sunrise, Fl. Home For Sale In Pembroke Pines, Fl. Condo For Sale In Pompano Beach, FL.